Squats are arguably the one staple lower body exercise that’s virtually compulsory in any workout program. Some hate and even fear them for how challenging they are, while others love them for their results. And those results do speak for themselves. There’s no question that the hype behind squats is real. They’re one of the most versatile and effective exercises there is, and the benefits they provide are numerous. Below are 12 reasons why you should be sure to include squats as a regular and integral part of your workout program. Squats are one of the three big compound lifts (the other two being deadlifts and bench press), and like deadlifts, they have the benefit of involving your body’s two largest muscle groups – the glutes and the quads. Your body needs to work hard to fuel these big muscles through a powerful set using close to their entire range of motion when you squat. That means that lots of calories need to be burned, which of course equates to fat loss. Now of course, the purpose of squatting isn’t specifically to burn fat, unless perhaps you choose to do them as part of a plyo workout for cardio, which we’ll discuss later. But even so, this aspect of the exercise is a great side-benefit for you. When you perform a set of squats for the first time to failure or near-failure you’ll notice that pretty soon afterwards they’ll have you panting for breath. That’s your body recovering from the intense anaerobic workout you’ve just done. 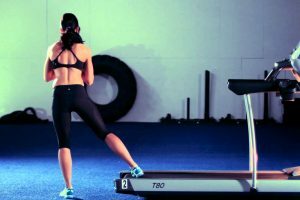 What’s an anaerobic workout? Well, basically anything that’s fairly brief and high in intensity, so it doesn’t rely on oxygen from the air you breathe for the energy production process, but rather on chemical energy sources stored in your body. The great thing about an anaerobic workout is that it increases both your anaerobic and aerobic fitness, which normal low-intensity cardio can’t do. That means it helps to improve your overall “functional” fitness for doing everyday things. Squatting is the fundamental movement for lifting things with your legs. Because they’re a big compound movement that has virtually your entire lower body and core working in harmony, they’re great for training your body to operate in a functional environment. Once you become proficient with the common variations of squats you’ll find that you become far more technically adept and coordinated for performing everyday activities such as lifting, pushing, and even climbing, that involve the use of your lower body, back and core. You’ll find that a number of activities that were very difficult or even impossible for you before, such as lifting heavy objects off the floor, climbing steep hills, jumping high (important for some sports), pushing a car, and so on, suddenly become much more manageable. Squatting involves three separate sets of joints in your body – your hips, knees and ankles. These all work in tandem to generate power and maintain your balance while you squat. Regular squatting using good, safe form helps to strengthen the ligaments, tendons and overall structure of these joints, as well as the muscles that act across them. This makes the joints themselves inherently stronger, more durable and more stable. Your hips and ankles in particular also become more flexible through squatting and their range of movement is increased, since they’re both flexed to the end of their range of motion under load. Squats are central to creating a powerful lower body, which is the foundation for all power movements that you execute. Through regular squatting you’ll directly become more powerful at activities such as sprinting, jumping, hill-climbing, kicking, pushing and pulling, and so on. By having more powerful legs and glutes you’ll also become more agile and athletic in a number of activities and sports where acceleration and rapid changes of direction are essential. Because your lower body is central to generating power through your upper body as well, the benefits of squatting also transfer to many upper body activities. You’ll get the benefits of this in activities such as punching, bat/racquet sports, and so on. Keeping a stable core is an integral part of squatting correctly, since this is important in keeping your spine in correct alignment to perform the movement safely and effectively. As you brace your core during a squat, it’s essentially getting an isometric workout. This is particularly so for your erector spinae, which contracts quite strongly, and other muscles in your lower back. It’s interesting to note that many bodybuilders don’t actually perform specific core-building exercises as part of their training routine. Instead, they rely on big, compound movements such as squats and deadlifts where their core is used for stability to develop strength and size in their core muscles. This generally occurs through nothing but intense isometric contractions. We’ve all heard the advice at one time or another that you should lift with your legs, and not with your back. This is precisely what squatting trains your body to do. Many people risk injury to their back when lifting heavy objects because they have little or no feel for what their spine is doing mechanically. They either lift directly with their back, by arching over and extending their spine to lift, or they try to lift with their legs but do so with their back in a bad posture. When you squat you basically brace your core to keep your spine rigid in a neutral posture, and generate torque in your hips and knees to lift the weight. This allows you to raise and lower and lot of weight with little or no risk of injuring your back. From a technical perspective therefore, squatting teaches you good mechanics for lifting. In addition, by strengthening your core as described in the previous point, squatting also enables it to protect your spine more effectively while you’re lifting any object, or performing any movement where stability is important. Squats are extremely versatile in that they can be performed in a variety of configurations. There are back squats, front squats, hack squats, box squats, goblet squats, sissy squats, single-legged squats, and the list goes on. The benefit of this versatility is that you’re able to target or emphasize different muscle groups as you choose. Some, for example, will focus more on your glutes, and others your quads. Some will require more hip torque, and others more knee torque. According to where your weaknesses are and which areas you wish to develop more, you can simply choose the most appropriate types of squats. In addition, you also have a choice of a several different stances as well, so that you can target the outer legs or inner legs, as you prefer. Another great variation you can use with squats is to perform them plyometrically, or explosively. This will allow you to build explosive power in your legs and hips, and also to incorporate them as part of a cardio training circuit for calorie burning and/or fitness. One of the major benefits of resistance training is that subjecting your skeletal structure to loading causes your bones to become denser, thicker and stronger. This is especially important for women, who suffer from osteoporosis more so than men, particularly as they age, and therefore need to be concerned with good bone health. Like your muscles, your bones are in a constant process of wasting away and re-growing at the same time. Whereas your muscles rely on protein to fuel their regrowth, your bones rely on calcium. By placing loads on your bones, it signals to your body to increase their growth rate, so that new bone is deposited at a faster rate than that at which they’re wasting away, leading to heavier, denser bones. Performing heavy squats with a barbell on your shoulders exposes most of your bone structure to loading, from your shoulder girdle, to most of your spinal column, to your hips, legs and feet. 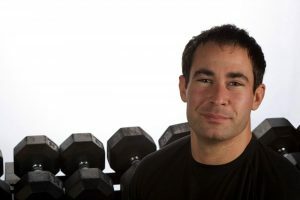 And if you perform squats holding dumbbells or kettlebells in your hands, you can add your arms into that chain as well. This is probably the biggest reason for many women loving squats. Along with hip thrusts and deadlifts, squats are one of the three big exercises that target your glutes really effectively. One of the uniquely interesting features of the glutes is that over time they become lazy and inactive, and your body develops a tendency to delegate their jobs to other surrounding muscle groups such as the hamstrings, erectors and quads. It’s been theorized that this happens as an energy saving measure, since they’re the largest muscle in the body. When you decide to become active by working out regularly, there’s a learning period for your glutes where you need to train them to work effectively, as they were originally intended. This isn’t always an easy process and can take quite some time in some cases, as it’s often hard to break ingrained habits. For this reason it’s particularly important whenever training your glutes to use mental focus (mind-muscle connection) to ensure that you activate them properly. Even though the glutes are without a doubt the most challenging muscle group for many people to develop, squatting is a great way to get yours firing properly again so that they can get stronger and grow as quickly as possible. One of the great advantages of squats over so many other exercises, particularly other leg exercises, is that they can be done virtually anywhere and without any specialized equipment. This makes them great as part of a home or hotel-room workout. There’s no limit to what you can use as a weight for squatting. Anything you can position across your shoulders, hold over or on top of your head, in front of your chest, or in your hands hanging down by your sides will work well. You can even use a low piece of furniture such as a couch located behind you to perform hack squats with. If you have a set of exercise bands at home or travel with them you can also use one anchored under your feet to provide some resistance for you. And of course, worst case scenario you can simply do body weight squats, either normal or plyometrics. There’s really no situation where you can’t bust out a set or two of squats! As one of the “big three” compound lifts that I mentioned earlier, performing squats just seems to give you an air of legitimacy, or “street cred” when you’re working out, especially heavy squats. Not to take anything away from women who don’t squat, however. After all, anyone who’s working out in any way and improving themselves should be commended and respected for it. But in the gym, the sight of a woman squatting with a heavy barbell across her shoulders just screams strength and empowerment. You know she’s strong, both physically and mentally, and you know she’s serious about her workouts. Squatting takes a lot from you, but it also gives a lot back. That’s pretty much the case with everything in life that’s worthwhile. 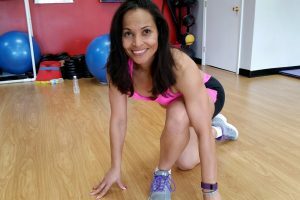 Lunges – Glute Exercise or Quad Exercise?